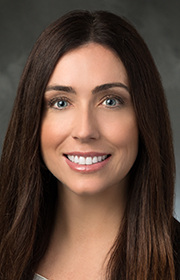 Lauren Pattee – Tudor, Pickering, Holt & Co.
Lauren Pattee serves as a Director in the Investment Banking division. Previously, Lauren was an associate at Credit Suisse. Before that, Lauren worked as a reservoir engineer for Seneca Resources Corporation. Lauren holds a BS in Petroleum Engineering from Louisiana State University.